This here's a spacegirl I found yesterday in a pile of drawings from a couple of years ago. "Why haven't I used her for anything?" I asked myself. 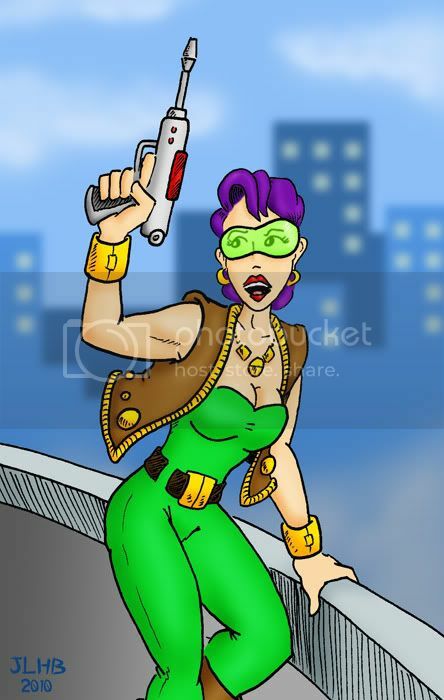 Now she's all colored and living in her groovy sci-fi world.